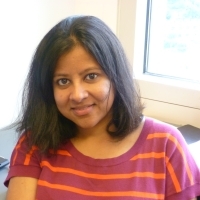 Dr. Sen is a senior postdoctoral fellow in the Epigenetics Program at the University of Pennsylvania and has been awarded the American Heart Association Postdoctoral Fellowship. She has a PhD in Biochemistry and Molecular Biology from Southern Illinois University, USA where she worked on the mechanism of action of ATP-dependent chromatin remodeling machines. Currently, she is investigating the role of histone modifications in yeast aging and mammalian senescence models. Her areas of expertise include high-throughput screening, genomics and chromatin techniques.